Lets get started with our first demo Flutter application, and go through the project to see how the application starts and behaves. A basic flutter project starts off with 4 folders. This contains a FlutterActivity, AndroidManifest and other files you would expect in a regular Android project. This contains a FlutterAppDelegate, info.plist and other files and folders you would expect in a regular iOS project. This is where your Flutter app lives. In here you will have *.dart files. We all do tests right? This is where we write our widget tests. This is a configuration file, for your Flutter application. For those not experienced with YAML, this works by tab indentation, instead of open and closing brackets. If you go to Run > Edit Configurations in Android Studio, you will see the Dart entrypoint. By default, this points to main.dart in your lib folder, and here is where your Flutter app starts. The default Flutter application is all contained in main.dart. In order for this file to be the starting point, there must be a void main(). This is where your app enters, and builds a new Flutter app. MyApp is a StatelessWidget. Each widget has a build override, that passes a BuildContext through. 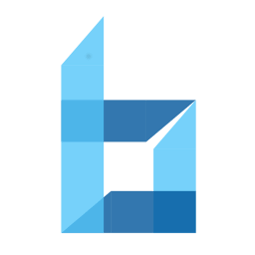 MaterialApp is an existing Widget in the Flutter framework, that contains, as the name suggests, a material looking shell for the app. It has a few arguments you can pass through, such as title and theme, and home, the first page of your app. The homepage is a StatefulWidget, and will hold state of your page. In here, you need to override the createState() method and assign it your state class. This class, is where you will code most of your logic and UI. It all starts with a class that extends State<MyHomePage>. Any fields, such as _counter, are considered state. Next, you have a build method to override. Note: This will run, every time your state changes. Your UI Widget Tree is immutable, and is rebuilt for any change made. In this code you will also notice, the onPressed: property, calls a method _incrementCounter. Any method where you have changed the state, calls the setState method. In doing so, it rebuilds the UI, with the new state values. All of this put together is how a simple Flutter application works.